In every stage of life, we need nutritious food to thrive. 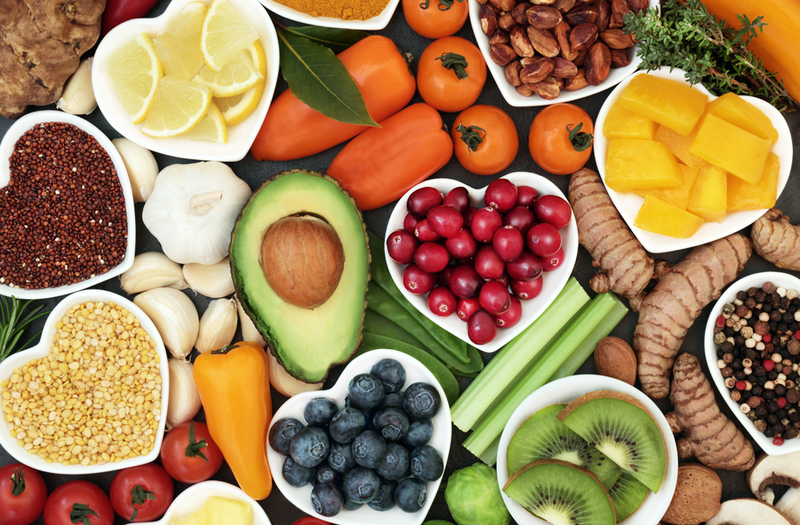 From infancy through to our later years, we depend on a healthy diet packed with nutrients to help build strong bones and muscles, stave off chronic diseases and give us the energy we need to live our lives. And yet, many among us are not getting the nutrition we need to maintain our health. In fact, a large national study recently found that upon admission to Canadian hospitals, 45 per cent of patients were found to be malnourished. In other words, almost half of the patients were not meeting their nutrition requirements in order to stay healthy. So what accounts for this problem? Part of the answer is that many Canadians have a limited understanding of malnutrition and how it occurs. Most people associate malnutrition with severe muscle and fat loss, and the appearance of being underweight. But while that is sometimes the case, it is also true that malnutrition can affect anyone, regardless of body shape or size. That's because malnutrition is not only about how much you eat, it is about whether the food you consume contains the nutrients you need to stay healthy. A three-year-old has been diagnosed with iron deficiency anemia. He has been taking in excessive amounts of milk and juice, displacing his appetite for iron-rich foods such as meat, fish, and legumes. Iron deficiency can result in fatigue and difficulty with concentration and learning. A 12-year-old avoids milk, but is not aware of her calcium needs and isn't replacing milk with other high-calcium foods. Adolescence is a time of peak bone formation. If she misses the opportunity to grow strong, dense bones, she may increase her risk for developing osteoporosis later in her life. A 40-year-old is regularly missing meals and relying on processed foods. Over time, his diet becomes low in vegetables, fruits, and fibre, and high in fats, sugar and sodium, which can increase his risk for developing high cholesterol, high blood pressure, and Type 2 diabetes. A 70-year-old who lives alone, has become less interested in cooking and has lost some weight. In older adults, the lack of adequate calories and protein can result in muscle loss and reduced strength, which can in turn limit mobility and increase the risk of falls. As all of these cases illustrate, malnutrition does not happen overnight. It stems from a pattern of eating over time, is related to many factors, and usually takes months or years before it manifests itself in physical signs or symptoms. If you or someone you know has some of these risk factors, you should take steps to address them. Fortunately, there are many resources available to help you or a loved one develop healthy eating habits. Eating Well with Canada's Food Guide, for example, is a terrific source of information about nutrition. Among other things, it lists the number of servings recommended for each food group, as well as examples of foods within each group, and offers tips on how to meet the nutrient needs of most Canadians. As you take the necessary steps to improve your diet, remember to be patient. Every change you make will take a bit of time and practice, whether it is a small change like learning a new recipe or a bigger change like starting to eat breakfast regularly. The important thing is to keep at it because every effort we make to eat and live well adds up and brings us better health and vitality. If you would like some support on your journey to healthier eating habits, you can call Dial-a-Dietitian in Winnipeg at 204-788-8248 or province-wide at 1-877-830-2892 for general nutrition advice and to get help finding a dietitian in your area. Sarah Ross is a registered dietitian at Health Sciences Centre Winnipeg. Lisa Begg is a registered dietitian at the Klinic Community Health Centre. Not sure whether you are getting the nutrition you need to stay healthy? Eating Well with Canada's Food Guide can help. 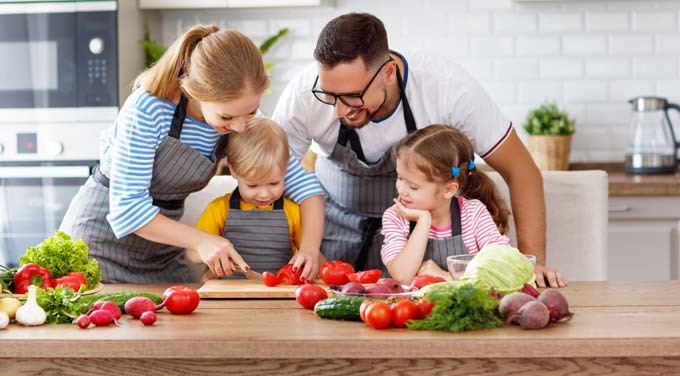 It lists the number of servings recommended for each food group, as well as, examples of foods within each group and tips on how to meet the nutrient needs of most Canadians (includes recommendations for ages 2 and up). eaTracker.ca offers a website and app that allow you to input what you eat and receive a detailed analysis of your nutrient intake and how it compares to the recommended amounts. Unlockfood.ca, by Dietitians of Canada, offers up-to-date information regarding a wide range of nutrition topics. Check out this link from Healthy Child Manitoba, which connects you to a number of topics related to wellness during pregnancy. This link from Healthy Child Manitoba connects you to information about when to start feeding your infant solids and gives examples of foods to offer at different ages and stages. Some of our nutrition needs change when we reach the age of 50. Find out more about how to eat well through the years at the link below. Also, try the Nutri-eScreen, for individuals age 50+ - answer 14 questions about your eating habits to learn if you are at nutrition risk, learn which areas of your eating are going well, and receive tips regarding areas with room to improve. Congregate Meal Programs offer the opportunity to enjoy well-balanced, affordable meals in a social setting (Winnipeg Regional Health Authority - Congregate Meal Programs - Living Well at 55+). How do you know if your meals are balanced? Comparing your plate to the Basic Plate can be a simple way to find out. Dietitians of Canada and UnlockFood.ca have meal-planning tools, meal and recipe ideas, as well as, instructional videos. Dietitians of Canada's Cookspiration website and phone app offer a wide variety of healthy recipes. Four Weeks of Healthy Menus offers menus, grocery lists, and affordable recipes for a month. Try taking a cooking class through the Leisure Guide, Sobey's on Pembina Highway, Nor'West Community Food Centre, Winnipeg Harvest, or at the Immigrant Centre for newcomers. To learn more about healthy eating to help manage chronic health conditions, consider attending a group listed in the Health Management Group Program Guide. If you have difficulty getting to the grocery store perhaps a grocery delivery service would help. Contact the program to determine if there is a cost. There are also services to provide you transportation to the grocery store. (e.g., grocery shuttle). For assistance with ready-prepared fresh and frozen meals, check out these Heat & Eat meal services. Find emergency meal programs and food supports in Winnipeg. To learn more about how our thoughts and emotions can affect our eating, and how to develop more positive relationship with food and our bodies, consider attending the Craving Change workshops.